Bridget Froemming is a senior and Multimedia Editor who is ecstatic to be contributing to The Brantley Banner for her second year. She is president of Thespian Troupe 2888 with the drama department, and is heavily involved with the technical aspects of theatre, as she has worked on more than six shows with the school. At the Thespian district competition level, she received the MVP Tech award, and was apart of The Best Tech Crew for a One Act, and at the state competition level, she received straight superiors on her student directed scene. On campus, Bridget is a member of Film Club, Glee Club, five various honor societies, and T.V. Production. In her free time, she volunteers at local theaters, trains in Isshinryu Karate, and is a Girl Scout Ambassador. Her favorite color is dark beige, and she enjoys pink pens, fashion, and theater. Bridget loves movies, her favorites being Casablanca and Alpha. 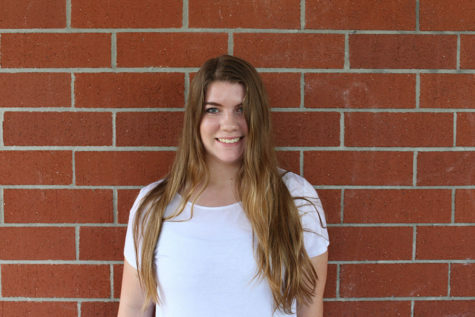 After high school, Bridget plans to pursue a career in Technical Theatre and Film Production.